It helps in easier reading and readers can absorb the information better. It balances visual consistency, distribution and hierarchy. It helps in getting across the message effectively. It gives visual prominence to the important features you wish to highlight. Gives a neat appearance when a reader opens your website. Readers don’t lose patience as they do when they see a cluttered or ill-managed layout. Keep the readers in mind! Who are you targeting when you create a website? They are the potential and existing consumers of your product or service. Remember this when you start designing the layout. Don’t design something that is visually appealing to you. Think of your targeted audience. Can the particular design and layout engage them? Also, keep in mind usability, user interaction, user experience and accessibility when you plan the layout. Navigation plays a key role in determining the time spent by a visitor on your website. Your navigation should be consistent. For example, if you are having drop-downs on your home page, maintain the same on all your pages. If you are planning to use arrow key, maintain the arrow navigation. 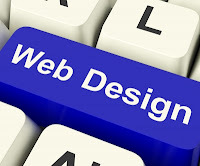 At the same time, design the navigation in such a way that it accommodates more links if required in future. Don’t fill the layout with content, pictures and videos. It makes your layout look cluttered. Have white space in the layout which helps focus on your content rather than making your layout look messy. Use font that will be available on all computers to avoid confusion. Distribute your content equally. For example, if you want to include pictures along with your content, don’t place all the pictures in one place and the content on the other. Instead, you can have them as a slide show or alternate between content and pictures. If the content and navigation of the web page are not intuitive, customers are not going to understand what you are trying to say or how the particular product or service works and they wouldn’t know where to go and search for everything. Keep your content to the minimal. If you are going to write paragraphs on how good your product or service is people are not going to waste their time in reading through your detailed description. Keep it short, crisp and more importantly to the point. What do readers commonly look for? Provide that information first. If you want to optimize your website for Search Engines, you can have a separate category called blogs and place your articles there. Give sub-headings and bullets to make the reading easier and to highlight the topic you are talking about. Flash has been removed from the market by Adobe, so you need not worry about Flash when designing the layout. Avoid graphics and scripts as well. Though there are many people using high-end devices, there are still a lot of people traditional platforms. They tend to take a lot of time to load and may not encourage a lot of the visitors to come back to the website again. A user-friendly site always encourages readers to come back to your site. Be creative, at the same time try keeping your layout simple. Not just content and navigation, the color combinations you use on your site is also vital. Contrast or traditional, choose colors that are easily readable. If you are going to use a red background with pink font color, it is not going to be clear to the reader. It is better to go with traditional black white rather than trying out novel combinations that are not going to work out. The content and white space should be equally balanced. Too much or too little white space is not going to throw a good light on your website. These are few tips you can take into consideration when designing your layout. This is a guest post by Ann Phillip of globalx.net, a site that offers savings and current information with dish packages, as well as dish.com services.